On Sunday I finished a few units for Full Thrust. All of these are from Ground Zero Games. 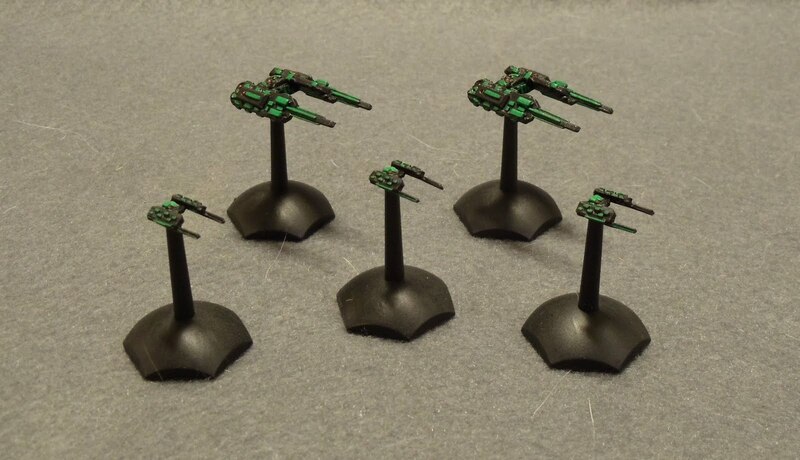 First up is a group of 5 ships for my as-yet-unnamed alien faction. These are a pair of destroyers and a trio of corvettes. 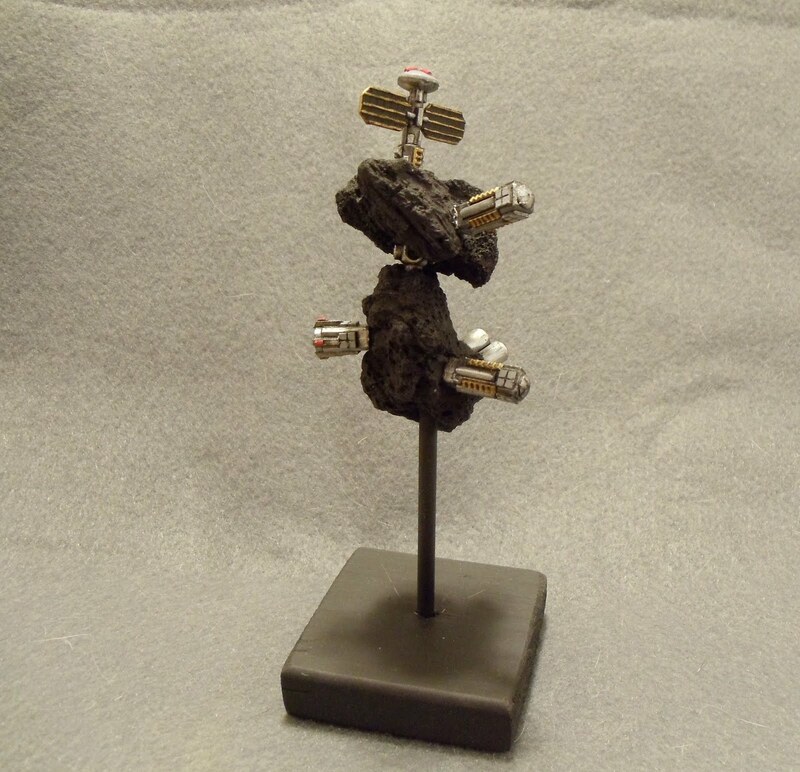 Next is a space station that I combined with a couple pieces of lava rock. It's works okay. Next up is some terrain for my 15mm sci-fi stuff and I'm going to start on my Vikings for SAGA. Also this week I received my parcel from Warhammer Historical and their huge sale. I picked up Age of Arthur, El Cid and the new Gladiator game. I'd really like to try out this game as it's just asking to have a campaign run. Hopefully come this Christmas, some of the manufacturers that make Gladiator figs will have some sales. Would be nice if Foundry came down in price as they have the largest selection but I might as well hope for the moon to be made of cheese. I've always loved the idea of space stations based on asteroids--this looks great! Scott, I love the space station! Super cool!